When you contact C.A. Smith Mechanical Ltd. for a Water Heater repair or replacement, you can expect professional service from our licensed technicians. In emergency situations, our 24-hour service in the North Eastern Nova Scotia will restore hot water to your household as fast as possible. Conventional - Gas or electric energy keeps water at a set temperature and come in a variety of gallon capacities. 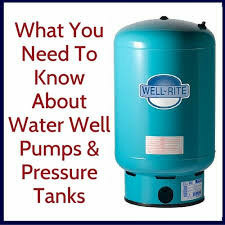 Larger tanks are used in homes with a hot tub or with high water demands. High-efficiency models can decrease water heating bills by about seven percent. Tankless - This energy-efficient design only heats water when it is used. It needs less space but may require special venting, gas lines, or additional electric circuits that increase upfront costs. However, it may reduce water heating bills by as much as 30 percent. Hybrid Heat Pump - A composite water heater obtains energy from the air and uses it to heat water. By using existing electrical and water connections, it can reduce water heating costs by nearly 60 percent. Solar - These systems utilize energy from the sun to produce hot water for your home. By using controls and pumps to circulate water into your home, an insulated storage tank and a backup system is essential for cloudy days and high heating demand. Our certified technicians provide guaranteed workmanship, quality installation, and competitive prices. We remove old water heaters for customers in North Eastern Nova Scotia and install new ones the same or next day.